William Shakespeare’s The Winter’s Tale may be his most confounding play. With a first act full of inconsolable tragedy, The Winter’s Tale derails into a pastoral comedy of forgiveness; it is an enigmatic, enthralling piece of bipolar theatre that demands a deep reading. One could dissect the Deus Ex Machina arbitrariness in its plot or dwell on its final message, that despite its inexplicable turns of character, humanity and kindness will prevail over time. 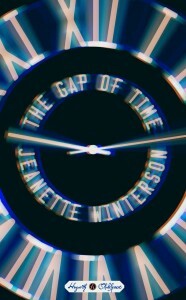 Jeanette Winterson’s The Gap of Time is a self-proclaimed “cover version” of the Shakespeare classic and an indulgent work from an otherwise bright author. Let’s talk about covers: some bands add something new to the original song, while others aim to introduce it to a new audience. Winterson fails to illuminate anything new about the original text and instead opts to update its characters to present-day clichés. In the opening of The Winter’s Tale, King Leontes is afflicted with a thunderous certainty that his friend Polixenes has had an affair with his wife Hermione and that she is pregnant with his friend’s child. This is completely unfounded in The Winter’s Tale but painfully real, as if Leontes’ brain was instantly poisoned with jealousy. In The Gap of Time, Leontes is Leo, a extravagantly wealthy hedge funder who wears t-shirts that say “I AM THE ONE PERCENT” and who, over pages of caps-locked inner dialogue, tells his assistant to set up a webcam in his bedroom so he can catch his friend (and childhood ex-lover) Xeno (currently a video game designer) in the act with his wife MiMi, a famous French chanteuse. It’s a clever riff, but it seems Winterson is satisfied with simply changing names and giving them contemporary occupations. The cast of The Gap of Time blows through a parallel plot to The Winter’s Tale, with Leo’s gardener Tony Gonzalez (nee Antigonus in the Shakespeare, get it?) kidnapping Hermione’s newborn daughter Perdita and abandoning her to be raised by a new family. The novel’s second section jumps about eighteen years into the future and Perdita attempts to reconcile with her parents. Beyond this, there’s little more to The Gap of Time besides a tone-deaf foray into Xeno’s video game, about a Paris inhabited by fallen angels. Winterson tiptoes into a strange realm of angels and characters with shoulder scars that would be better suited for The Golden Compass or some dystopian teen fantasy series. Considering this is the only time Winterson goes off-book with an idea of her own, it’s a remarkably lukewarm foray, and The Gap of Time (a weak book in itself) would be better off without it. Towards the end of The Gap of Time, Leo is in the process of tearing down an old music hall to initiate construction on some apartment towers. “Why are you knocking it down?” one character asks. “We’re reusing all the Victorian bricks,” he says. They ask again, and he replies, “we have planning permission.” This evasive answer is particularly strange at the end of what’s almost certainly a commissioned book by the “Hogarth Shakespeare” series. With little to add to the original Shakespeare, and considering Winterson’s trouble with pinpointing a target audience or purpose, it’s difficult to see The Gap of Time as much more than a fulfillment of its title.